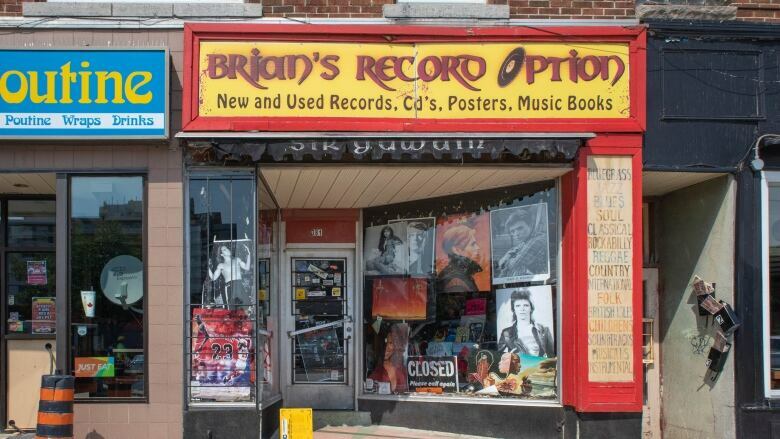 A beloved record store in Kingston, Ont., has been forced to close its doors indefinitely after flooding damaged a significant portion of its inventory Saturday. A beloved Kingston, Ont., record store is hitting pause after flooding damaged much of its inventory on Saturday. Brian's Record Option on Princess Street has been a treasure trove of dusty vinyl stacked from floor to ceiling since the early 1980s. The 1,200-square-foot store holds 80,000 albums, 20,000 CDs and thousands of cassettes, posters and books. Brian Lipson, the store's owner, told CBC Radio's All In A Day he was downstairs in the basement when he heard water gurgling. It began to flow pretty fast. The water filled the basement and rose to the main floor, flooding through the store and out the front door, taking CDs and records with it. Lipson said he and neighbouring business owners initially called Kingston's public utilities commission, but no one showed up. The water only stopped flowing about two hours after it began, when an employee from the construction company working on a major infrastructure project nearby came and shut the water off. "It was very surreal," Lipson said. "Everything from my knees down was destroyed, and the whole basement was destroyed." 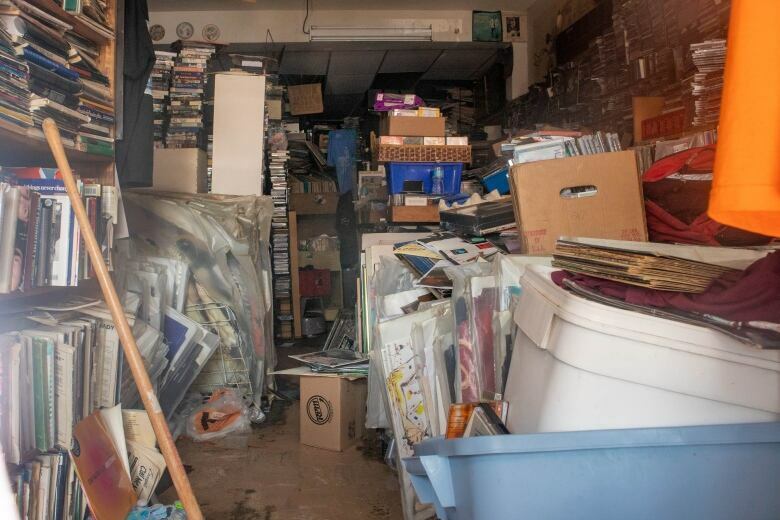 Hundreds of albums were damaged when the store flooded, including Lipson's entire female soul and miscellaneous soul collections, parts of his jazz collection and the plenty of CDs. In a news release issued Tuesday, the City of Kingston said the flooding on Princess Street was not caused by a water main break, as previously thought. According to the statement, it was caused by equipment installed by the private contractor, Corcoran. "We sympathize with the business owners who experienced flooding and significant damage to their buildings and merchandise as a result of Saturday's water service break. I understand that the construction company overseeing the 'Big Dig' is doing everything they can to rectify the situation," said Jim Keech, president and CEO of Utilities Kingston, in the statement. The city said Utilities Kingston was onsite within 30 minutes. "The trust and support of the Kingston community is important to us, which is why we are issuing this statement to provide facts regarding our involvement." Lipson said he doesn't want to close the store, but he's been told he'll likely need to keep the doors closed for months as the building is inspected for further damage. He added he's been encouraged by support from the community, including an online fundraising campaign that's almost reached its $10,000 goal and benefit events popping up around the city. "A lot of hugs, a lot of tears, a lot of advice. That's what's helping me get through this."